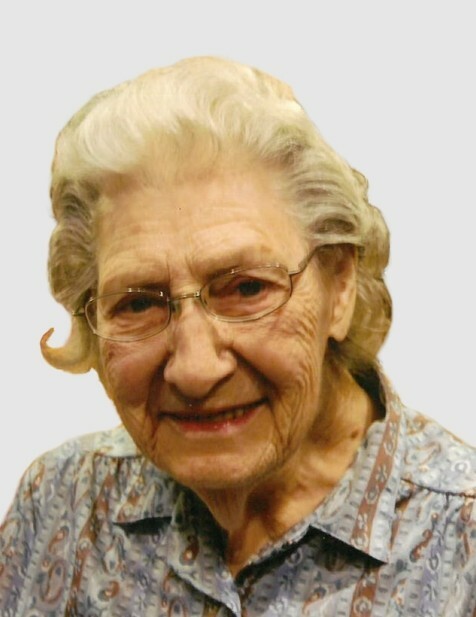 Rena “Jerry” Sulflow, of Montevideo, died Wednesday, November 28, 2018 at Rosewood Assisted Living in Montevideo at the age of 95. Funeral services will be held at 10:30 AM on Monday, December 3, 2018 at St. John’s Lutheran Church, Sparta Township, with Rev. Kent Borglum officiating. Burial will be in Trinity Lutheran Church of Havelock Cemetery in rural Montevideo. Visitation will be held one hour prior to services at the church on Monday. Rena Geraldine “Jerry” Lange was born December 11, 1922 in Chippewa County, MN to John and Alma (Brust) Lange. She was baptized on July 1, 1923 at Our Saviors Lutheran Church in Montevideo. Jerry attended country school through 8th grade, and worked at various places in the area as a mothers helper and at the canning factory. She was united in marriage to Leonard Sulflow on February 3, 1942. They farmed in Havelock Township for several years until they moved to the Sulflow family farm in 1952, where they made their home in Grace Township until 1995. After Leonard passed away Jerry moved to Brookside Manor, and in 2014 moved to Home Front in Montevideo. Jerry is survived by her daughters, Carol (Jerry) Resmen and Joyce Olson; grandchildren, Annette Nohrenberg, Rose (Steve) Pearson, Toni (Jim) Hofmann, Stephanie (Judd) Deslandes, Adam (Jill) Sulflow, Noel (Dawn) Sulflow, Karla (Michael) Kotzer, and Nicole Olson; 19 great-grandchildren; 10 great-great-grandchildren; sister, Arleen Zemple; and several nieces and nephews. She was preceded in death by her parents; husband, Leonard; sons, Alvin Richard Sulflow in infancy, and Eugene Leonard Sulflow; daughter-in-law, Sandra (Flickinger) Sulflow; son-in-laws, Vernon Olson and Everett Nohrenberg; sister, Gertrude Bonin; and brothers, George, Elmer, Earl, Wesly, Arnold, and Leon Lange.